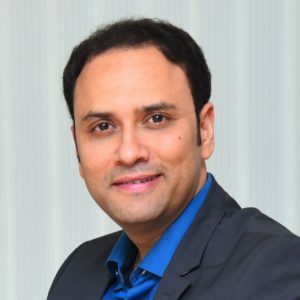 In his current role, Akash heads the marketing, partnerships & licensing revenue for VOOT. Within marketing, he is responsible for all digital marketing initiatives for VOOT (acquisition & retention), brand & communication aspects & consumer research & insights. He also leads all the partnerships discussions, with an aim to drum-up the reach for the platform by working closely with OEMs, browsers, games and telcos. The mandate is also to drive topline growth through content syndication for all Viacom 18 content to all the digital platforms in India & all international markets. VOOT, in less than two years from its launch, has already become a dominant OTT video platform in India on the back of massive reach(instals, MAU, DAU) and robust engagement(watch-time), and is now the third biggest OTT AVOD platform in India (as per latest App Annie rankings). Prior to this role, Akash was the Head of Marketing for Hotstar (2014-15), the new digital video-on demand platform from Star TV, where he was responsible for the big bang launch and for driving consumer acquisition at massive scales. Akash Banerji has close to fifteen years of consistent high performance in multiple fields spanning the world of marketing, partnerships, sales & distribution with leading consumer centric MNCs, in the area of managing & growing brands profitably. Akash has specifically built a core expertise in the area of launching new businesses(brands) and leading a turnaround in the existing businesses with an ambition to fuel higher growth. A passionate marketer at heart, providing value to the consumer and driving meaningful conversations with the end-user is what keeps him constantly challenging the status quo. After having completed his MBA at FMS, Delhi, Akash went onto start his career within the consumer products industry. He worked with Pepsi in Bengal (a then ThumsUp dominant market) in sales and gained market share in a short time. He subsequently worked with Marico in Andhra Pradesh as an Area Sales Manager, and turned around the depot from a laggard to be the Best ASM in South & third best in the country. From there, he moved his trajectory towards brand marketing, wherein he worked on a big brand like Parachute and then Nihar(acquired from HUL). As a brand manager of Nihar, he anchored grass-root level brand work in the eastern part of India, which saw the brand doing its highest ever shares & revenues month after month. Post this, he moved to the world of media, wherein he steered the turnaround of Star TV’s flagship brand, Star Plus, with the iconic communication- RishtaWahi, SochNayi. Within Star TV, he then moved to Dubai, to head the distribution and new projects for Middle East & Africa, with the specific aim to increase penetration in the African continent. The portfolio of Star TV channels saw more than 100% increase in revenues on the back of new platforms acquisitions (DTH, Cable). He came back to India in 2013, to launch India’s biggest sporting network- Star Sports, with its slew of channels. Akash is a passionate speaker and he regularly speaks at multiple forums, evangelizing the adoption of digital and discussing the opportunities & challenges for the India market. A quintessential Bengali at heart, Akash actively pursues dramatics and music at his leisure. An indulgent father, he loves to unwind, by playing a game of football with his kids. 2019 - IWM Publishing & Communication Pvt. Ltd.